What is peace of mind? The absence of mental stress or anxiety. 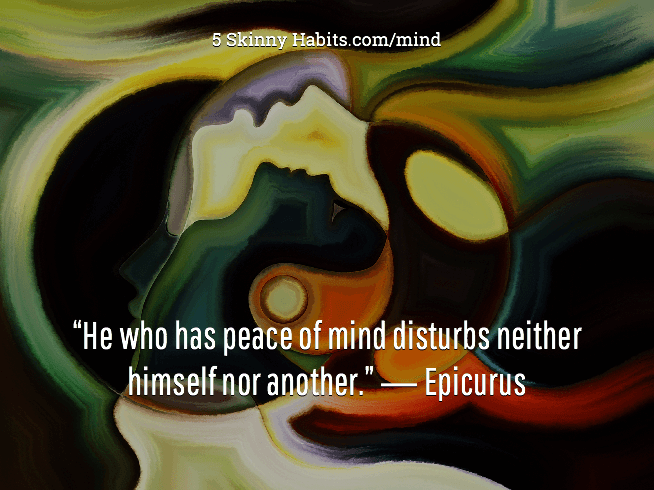 There are many different ways to achieve peace of mind but Epicurus teaches us an interesting insight: When you are harmony with yourself, you will automatically be in harmony with others. When you are stressed with others, it is a sign that you are not peaceful within yourself. Similarly, when you are not at peace with yourself, you will likely have relationship challenges. Improving stressful relationships, often starts with improving your relationship with yourself and your inner peace of mind. Think about this!